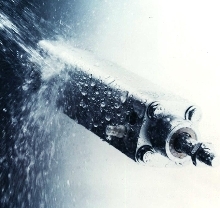 Air Cylinders suit automation applications. 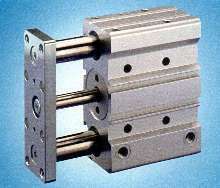 Pneumatic Cylinders incorporate electronic controller feature. 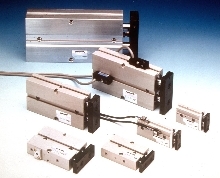 Pneumatic Cylinder Products suit space-restricted applications. Metric Air Cylinder suits panel lifting applications. Model HP.S offers dual port capabilities and uses square rod to prevent rotation. It features 50 mm bore size and is available in variety of stroke lengths. Adjustable cushioning on both ends allows cylinder to meet specific deceleration requirements. 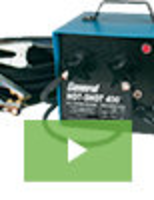 Maximum speed is 0.66 ft/sec and maximum working pressure is 140 psi. Rodless Cylinders operate up to 16 ft/sec. 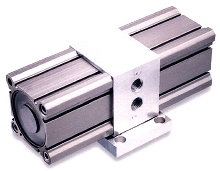 Pneumatic Cylinder features two rigid guide rods. Guided Pneumatic Cylinder is offered in 10 different diameters between 12 and 100 mm with stroke lengths up to 200 mm. Guide rods are supported by either slide bearings or ball bearings. Two cylinders can be directly combined to 2-axis system without any adapter plate. Applications include material handling systems, stopping or clamping, and carrier of grippers, suction cups and other fixtures. 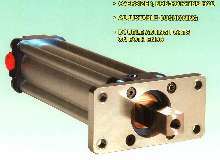 Air Cylinders provide precise non-rotating linear motion. Pneumatic Cylinders are rated for 200 psi. Pneumatic Cylinder helps shorten clean-up process. CDN combines smooth exterior surface with integral positioning sensors for easy clean-up in food processing and packaging applications. It comes with FDA approved lubricating grease and 300 series stainless steel piston rod for maximum corrosion protection. CDN conforms to ISO 6431 standard and comes in bore sizes from 32 to 100 mm with strokes from 10 to 500 mm. Booster Cylinder remedies under-powered actuators..